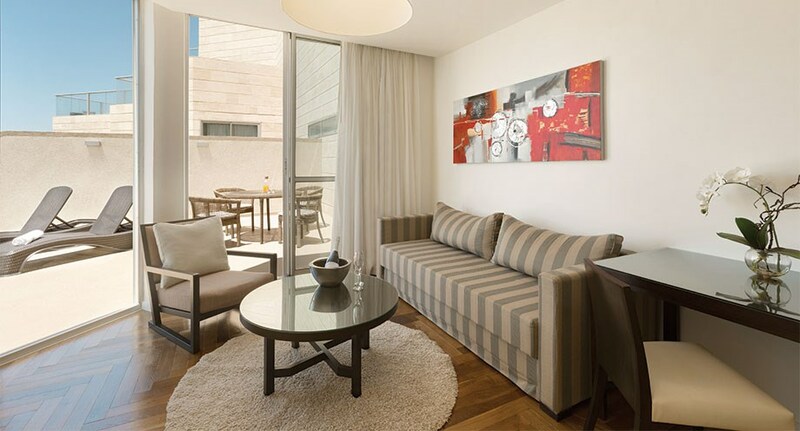 Our Ramada Hotel and Suites Netanya is a relaxing getaway whether you travel to Israel for business or leisure. 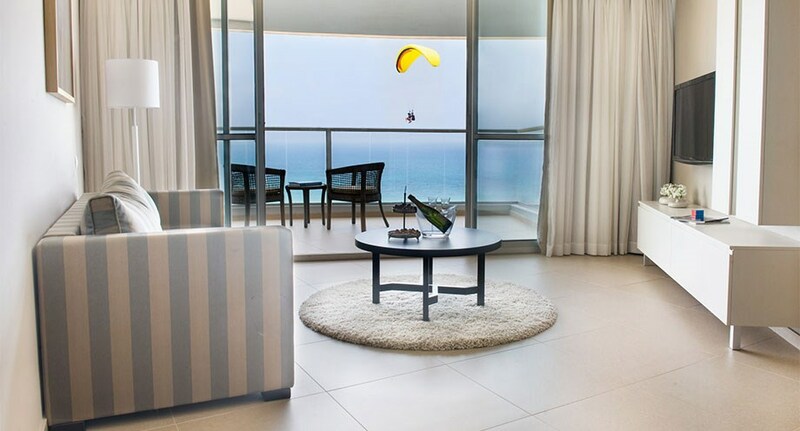 Our location near the Mediterranean Sea offers comfortable accommodations at a great price. 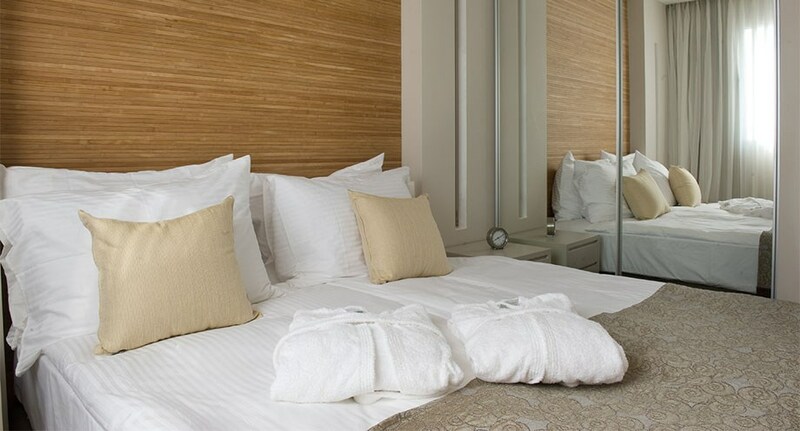 Our clean and accommodating guest rooms were designed with your comfort in mind, featuring thoughtful amenities to brighten your stay. Suite Deluxe with Partial Sea ViewSuite 45 sqm up to 4 pax including 1 bedroom, 1 living room, a toilet and bathroom, equipped kitchenette and a balcony facing the breathtaking view of the Mediterranean. Each suite has an LCD TV. 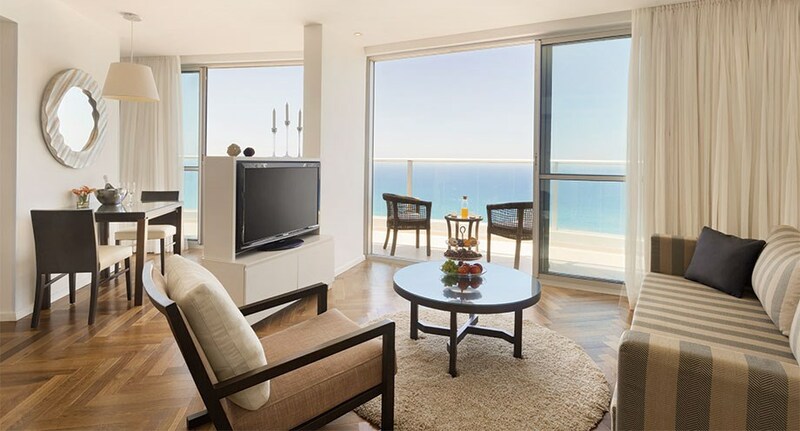 Executive Suite with Full Sea ViewSuite 60 sqm up to 2 pax including bedroom & living room open space designed with parquet floor , a toilet and bathroom, equipped kitchenette and a big balcony facing the breathtaking view of the Mediterranean on the 14 floor. Each suite has an LCD TV. 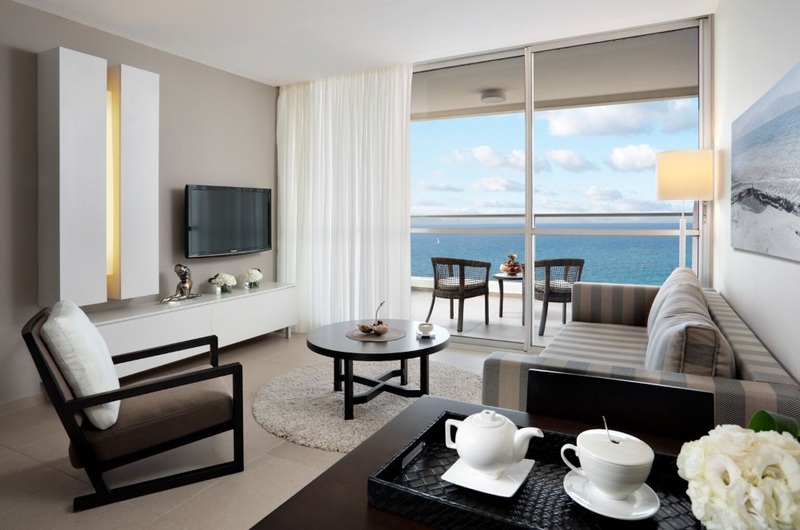 Suite Grand Deluxe With Sea ViewSuite 55 sqm up to 4 pax including 1 bedroom, 1 living room, a toilet and shared bathroom, 1 extra toilet, equipped kitchenette and a balcony facing the breathtaking view of the Mediterranean. Each suite has an LCD TV. Superior Suite with Balcony and Partial Sea ViewSuite 65 sqm up to 6 pax including 2 bedroom, 1 living room, a toilet and bathroom, 1 extra toilet, equipped kitchenette and a balcony facing the breathtaking view of the Mediterranean. Each suite has an LCD TV. 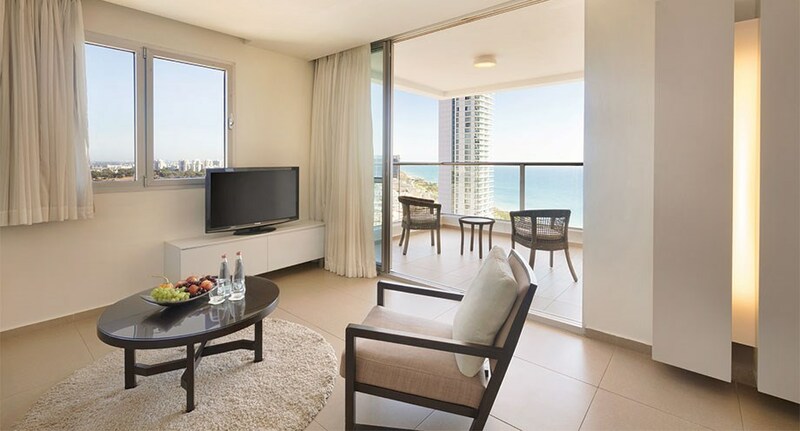 Superior Suite with Full Sea View Suite 70 sqm up to 6 pax including 1 bedroom & 1 living room designed with parquet floor , shared toilet & shower & bathroom, equipped kitchenette and a big balcony facing the breathtaking view of the Mediterranean on the 16 floor. Each suite has an LCD TV. Deluxe with Terrace and Full Sea ViewSuite 45 sqm up to 4 pax including 1 bedroom, 1 living room, a toilet and bathroom, equipped kitchenette and a panoramic balcony facing the breathtaking view of the Mediterranean. Each suite has an LCD TV.